The term insurance and insurer can be very ambiguous when talking about real estate. 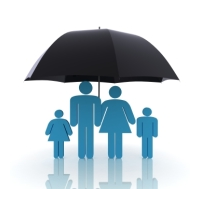 There are basically 4 types of insurance, each very different then the other, when talking about insurance. Mortgage Insurance, or better named “mortgage protection”, ensures your mortgage payments are made, or your entire mortgage is paid out if an unfortunate incident happens to you while you are covered. Generally Mortgage Insurance will cover death, critical illness, and disability. Default insurance is basically protection for the lender in the event the borrower defaults on the mortgage. The federal government dictates the highest Loan to Value (LTV), which currently is set at 80%, which a mortgage is considered “conventional”. With a down payment less then 20%, or higher then 80% financing, is considered “high ratio”. A “high ratio” mortgage is required to be insured. The cost (premium), is paid by the borrower, and can be added to the mortgage, or can be paid during the purchase. Some lenders will insure all the mortgages they fund, but usually only transfer the premium cost to the borrower when the down payment is less then 20%. Property Insurance is insurance to protect you, and the lender, from any damages that may occur to the property. For instance, a fire may totally destroy the home. Without adequate property insurance, you will have a mortgage on a property that is worth much less then before the fire, and the lender has a security (the property) for the mortgage which is worth much less then before the property. The lender will make sure you have adequate insurance on the property before they will finance the property. In fact if you remove the insurance after the mortgage has funded, you will be in default. Title Insurance protects both you and the lender from any expenses and losses caused by defects or damages to the title of the property. One of the biggest reasons that title insurance is now common place is to protect against mortgage fraud. If you have a low mortgage, or are mortgage free, having Title Insurance is especially more important since the equity in your home is exposed. Some unscrupulous person could assume your identity, and refinance your home without you even knowing it, and soon the bank will contacting you for missed mortgage payments. It’s best to be protected.